Enter your email address to receive notifications of new posts and to sign up for our free newsletter. PURPOSE The Waratah Project works to positively influence how society frames menstruation and menopause, and to improve the ways women and girls experience these aspects of their lives. ACTION We’ll analyse and gather all this information into a report to be published in the first half of 2016. FUNDING The project is an initiative of The Dugdale Trust for Women & Girls at The Victorian Women’s Trust in Melbourne, Australia. The project was able to start because we received a significant donation from Belinda Gross, a Victoria-based philanthropist. 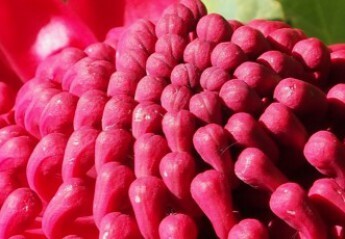 We need more funds to turn our research into action, so please consider making a tax-deductible donation to the project, either by sending us a cheque or donating online (and send us an email to clarify that the donation is for Waratah). STAY IN TOUCH Follow the project here, and on our Facebook page and Twitter feed. Subscribe to our newsletter to stay up to date with the project. Many thanks for your interest. Please email us with any questions or constructive thoughts you have about the project. For media enquiries, call 03 9642 0422 during office hours.